more efficacious than "pagan" ones? A short discussion on the use of Images of Dea from living traditions as opposed to ancient ones from traditions no longer extant. Q. I'm so grateful to you for this wonderful resource. I've learned so much! "We are also humble enough to recognise our lack of a living tradition in this world and to realise that spiritual practices and influences do require living transmission. That is why, while we consider ancient Goddesses from no-longer-living traditions to be important for purposes of comparison and understanding of our religious roots, we always recommend the use of images of Dea from living traditions for actual devotion." I don't really understand the necessity of focussing on goddess images from living traditions. Is it more efficacious to do so? Much about past traditions is as public as those you recommend – it seems that the very fact of an unbroken link to prepatriarchal times is a factor. But it's not clear to me why. A.There is no hard and fast rule here, but we do consider Goddess images that have an unbroken and still living tradition to be safer and more efficacious. In the case of "pagan" Goddess images, Classical or Northern: the traditions surrounding them had become very much trivialised and distorted toward the end. That is why a new and vital religion like Christianity was needed and proved so successful. In the case of more ancient traditions, very little is known about their actual practice and modern conjectures tend to be bound up with the dubious assumptions of profane scholarship, modern psychology and the "Darwinist" outlook. We feel that we are in a position to make more traditionally sound and educated conjectures about these, but such conjectures alone are not a sound basis for worship. It must be also borne in mind that time is not the purely quantitative affair that the modern outlook supposes it to be. Spiritual and even physical conditions change over time and the character of an Age is subject to certain "shifts". One of these "shifts occurred around 600 B.C., and we will find that many ancient traditions underwent re-adaptions from this time onward. (Examples are: Buddhism and some important Hindu re-adaptations in India; Taoism/Confucianism in China; re-adaptations in the Hebraic, Zoroastrian and Druidic religions and, in the Hellenic world, the "Classical Revolution", which led to the enervation of its traditional religion and ultimately to the situation that necessitated Christianity in the West). Seizing upon Goddess Images that belong to a different world-Era, or were already largely emptied of spiritual content before they were abandoned, is a highly parlous procedure. This is not to say that the Spirit can ever be commanded, or that She may not manifest though any of Her most ancient Images at will. But with Goddess Images that have continued into the present, we feel we are on far safer ground. To be without a living tradition is a somewhat uncertain position to begin with. 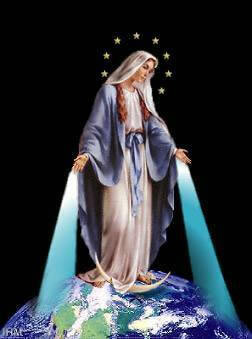 We rely on Our Mother's Grace and Her promise that "none shall call upon Me and be lost." For those who feel the heart-need of a wholly Feminine worship, this is our way forward. But choosing living and canonical Images, rather than getting onto the difficult ground of "revival" seems to us a much safer path. If you have some image of Aphrodite or Athene that appeals to you, by all means give it a place in your hestia, or even on a side-shrine; but we recommend (and it is only a recommendation) the use of canonical images with a still-living cultus for your central focus of devotion. This does not mean that you have to adopt the patriarchal cultus by any means. Part of the work of this site is to assist in giving Déanic perspectives to such Images. 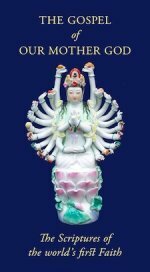 While most current religions have patriarchal interpretations to some degree overlaid on their Goddess Images; many, many simple devotees throughout the world just turn to the Mother (whether Kuan Yin, Devi or Mary) without being much troubled by the rest of it. Our werde has denied us such simple souls; and it is no virtue to shut off our intellectual faculties. 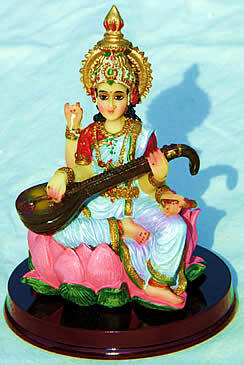 This site hopes to help us use them constructively in devotion to Our Mother God. But in the end, we are all Her children, and in Her eyes the difference between Her simplest devotees and ourselves must be very small indeed. And so, like them, we turn to Her living Images with simple hearts and simple trust, and the faith that we are taking the direct path back to Her.